This activity is part of the Moving Stories collection. 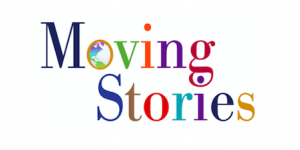 Follow this link for more on the Moving Stories project. Use these questions if it was the interview subject’s grandparents or distant relatives’ decision to migrate. Before conducting the interview, review the following with your interviewee to make sure they feel comfortable with the questions and choose the most appropriate ones. It might be helpful to give them a few minutes to reflect before beginning the interview. What is your family’s story about coming to this land? Where did they come from and where did they first settle? Why? Was the decision to come theirs or someone else’s? Did your family stay in one place or have they moved around? How did they come to live where they are now? Has your family shared stories about the most difficult part of their journey? What have you heard about what they missed most? What do you know about your family name—like its history, origins, or changes? What traditions from your family’s country—like celebrations, foods, or songs—do you still enjoy? Do you have family heirlooms, scrapbooks, or mementos that tell your families’ moving story? What were your relative(s)’ dreams in coming here? How did those dreams compare with reality? What people or events helped, or got in the way, of achieving those dreams? Did your family ever feel unwelcomed because they were newcomers or outsiders? Were there people or communities that made them feel welcomed? How would things be different for your family if they hadn’t migrated? Do you have a story about someone you know or care about who was deported? Have you ever considered tracing your roots or going back to your family’s homeland? Do you see connections between your family story and that of today’s immigrants?